Empowering entrepreneurs through custom creations and consulting. I'm a lot like you. I launched my first blog in 2007, and I've been learning ever since. From building a brand to creating a business, I want to help you do less, get more, and of course...have more fun! As a consultant and strategist for business owners, bloggers and emerging entrepreneurs, I specialize in helping set big-picture goals for your personal and professional life, identify opportunities for growth and create actionable plans for making sense of what can often feel like an overwhelming and complicated online world. Ready to Check Out My Services? Click Here! Have a great product or service but don't know how to get the word out? We'll blueprint it so you have an action plan. A plan is great, but what about the execution? We'll make sure that all of your online tools are set up and working properly. Whether it's one landing page or a full-blown membership and e-commerce platform, we'll design your dream. SEO WTF OMG? Don't worry. It's not as scary as it sounds. Let's overhaul and optimize so you get seen. Need help setting up a newsletter, a sales funnel or something in between? Get concept to execution. Develop a lasting relationship with your audience and offer your followers what they need and want. Prefer keeping the SOLO in solopreneur? Download my free website audit checklist -- the same thing I use with clients! Plus, if you are looking to do less but get more...check out my ebook. more impact with less work. 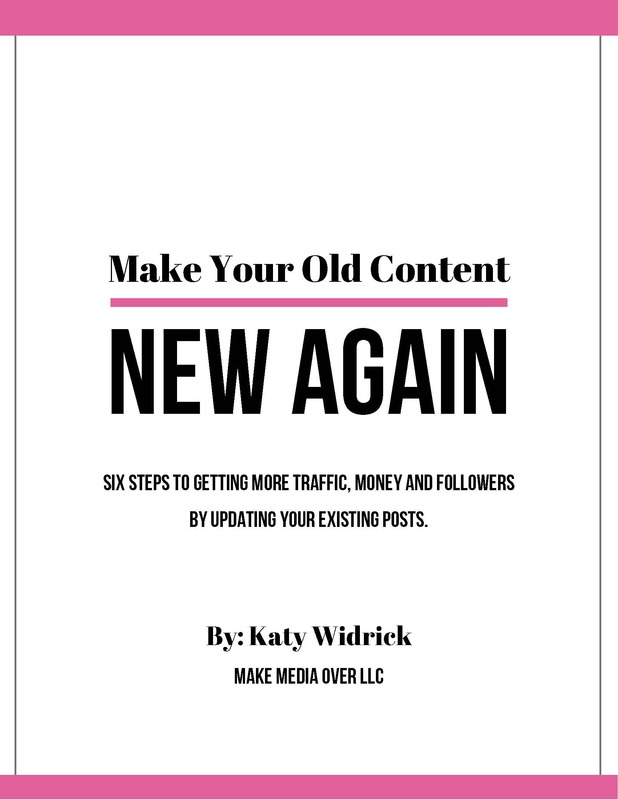 These six steps can work for blogs of all niches, audience sizes, posting frequency and more. They’re easy (and fun!) to follow and they WORK.